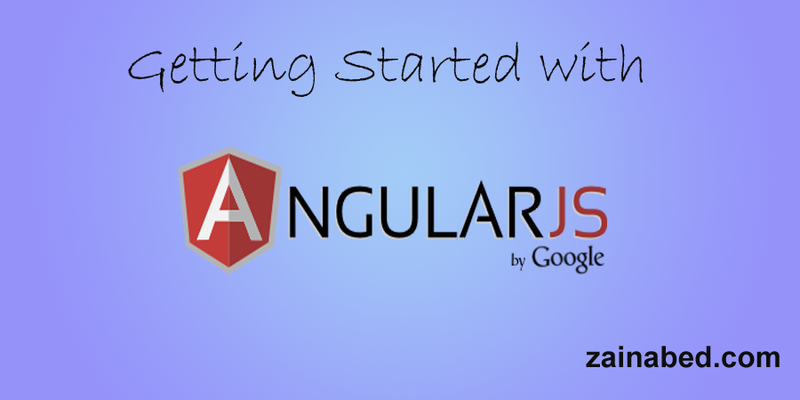 This tutorial will help you to create a dynamic web application using power of AngularJs. Goal of using AngularJs is to convert static HTML template to dynamic (Angular) template. Now consider the following static HTML template which contain list of movies title. Now lets convert above static HTML template into AngularJs Template by injecting Model-View-Controller by using following steps. 2. 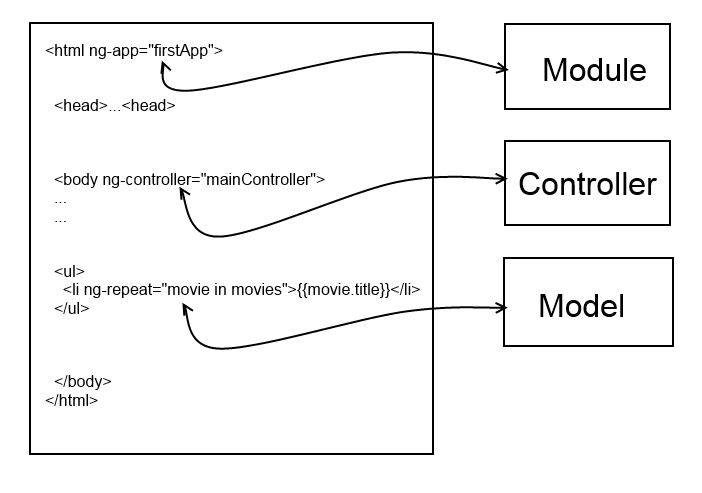 Using above module object create controller function which will hold the model resource (like JSON objects). 3. Within this controller create or access model object (JSON object) using $scope variable. 4. Now Inject module and controller Angularjs tags into view (static HTML template) and access the model object (JSON object) inside view. Following is blueprint of steps which we are going to perform inside static template.